Anchorage's Loussac Library wants voters to authorize bond money for upgraded security cameras because of a dramatic spike in thefts and disruptive behavior in the building, library officials said. 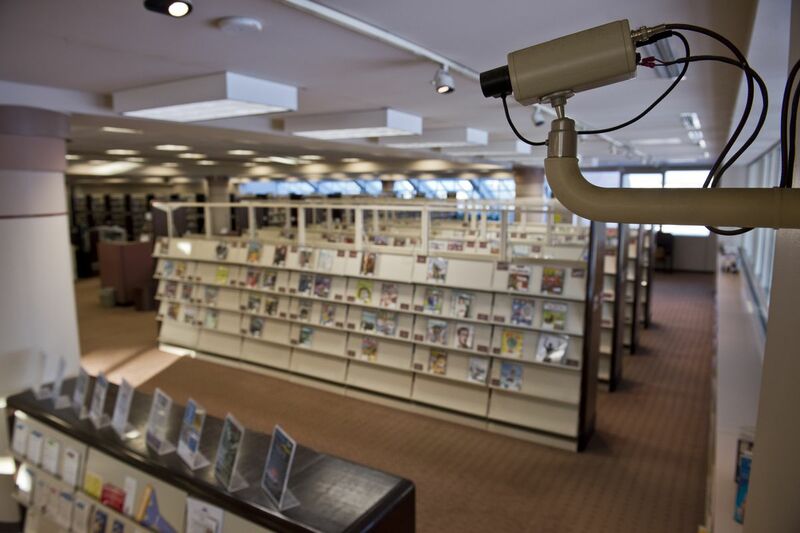 Proposition 7, a facilities bond package appearing on the ballot mailed to Anchorage voters this week, includes a $500,000 request for a new digital security camera system for the city's main library. The library has an extensive security camera system. But it's outdated and could be further expanded, said Clare Ross, the library's development director. The new, higher-resolution cameras would be in color, making suspects easier to see and identify, Ross said. She said the upgrade was planned about three years ago but it's become more urgent as the library draws more visitors and has seen more social problems. "Like everywhere in this town — a recession and the opioid crisis — the library's had our share of thefts and people who are inebriated in the building," Ross said. "It's a really high priority for us to keep it safe." In 2017, the library reported 124 instances where a person was asked to leave the building for a day or longer because of disruptive behavior, such as theft, harassment, public intoxication or fighting, according to data provided by Ross. That's compared to 55 instances in 2016, data show. Calls to police also spiked in 2017. Police were called to the library 210 times, compared to 153 times in 2016. As a central civic facility, the library has to constantly balance the demands of being open to everyone and maintaining a safe, welcoming environment. Nearly a million people visit the Anchorage library system annually, with most coming to the Loussac. The library's recent $15 million renovation removed some nooks and crannies, Ross said. But the building is still large, at 137,000 square feet. "It's hard to keep our eyes everywhere," Ross said. On the floor with iPad rentals and computers early Thursday morning, Misty Nesvick, the community relations manager for the library, pointed to a security camera mounted on a wall. The current cameras are black and white, making it harder to identify suspects, Nesvick said. She also said that new cameras would deliver a more well-defined picture to give security the best view possible. Officials hope additional cameras will deter or stop theft, a problem for the library. DVDs are especially vulnerable, Nesvick said. "One of the great benefits of the library is you can borrow 'Downton Abbey,' " Nesvick said. "But if 'Downton Abbey,' disc three, disappears … it has to be replaced." The Loussac's security camera request is one of several facility upgrade proposals on Prop. 7. A new roof for the city's Animal Care and Control Shelter and new carpets, restrooms and audio-visual equipment for the Anchorage Senior Center are among the other projects. 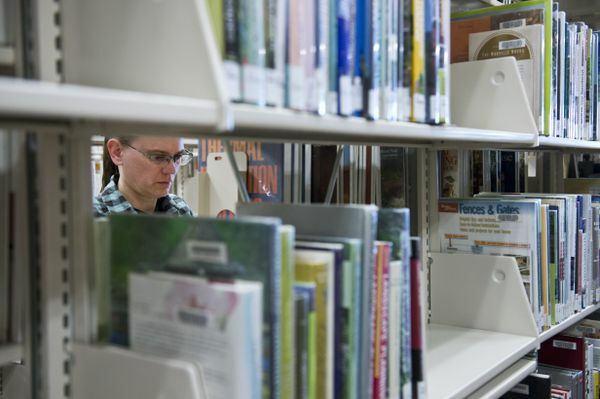 The library also wants $90,000 for a new electronic book-handling system for the Chugiak-Eagle River Library, the second-busiest in the system. That system has already been installed at the Loussac Library. On Thursday morning, a librarian was placing books on the automated conveyor belt. The books zipped down the belt and toppled into black bins to be returned to library shelves. Officials predict the book handling system will save 15 hours a week of staff time and pay for itself in four years. Find more details on the bond projects on the Anchorage city website. The last day to vote is April 3.